Sudden storms, strong winds and heavy rains can and do wreak havoc on the trees in Florida at times. You never know when one might come down in the wrong place and need to be removed quickly. When that happens Deltona Tree Arbors is here to help with emergency tree service in Deltona, FL. We have crews standing by 24/7 every day of the year in case you ever need us quickly because of a tree emergency. It does not matter whether it’s a tree that has come to rest on your power lines or a large branch that is blocking your car in the driveway; we have the experience and the tools to make any fallen tree disappear quickly, regardless of the size or difficulty. No emergency tree service job is too big or too small and it does not matter whether the problem is at your home or your place of business. Once we arrive you will be amazed at how fast and how efficiently we can eliminate any emergency tree problem. 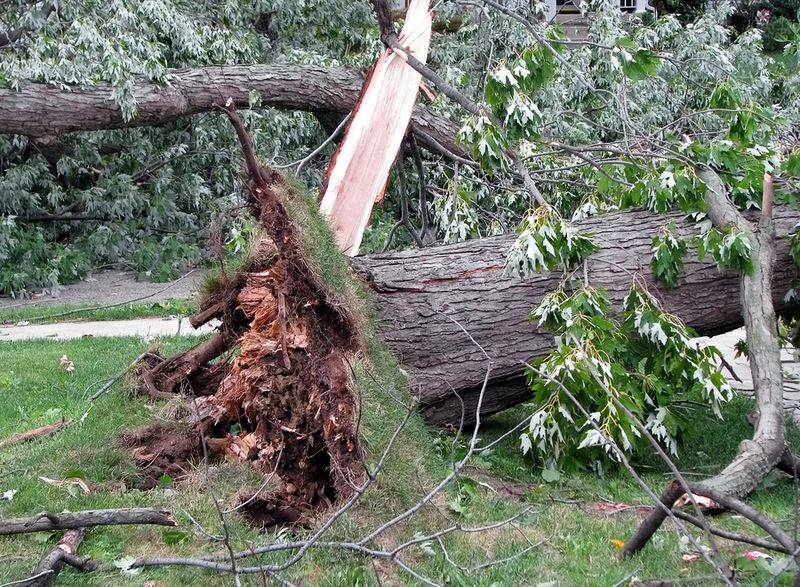 How can an approaching storm necessitate a tree emergency call? Falling trees during a strong storm or hurricane can do a lot of damage. Maybe you have been putting off taking down some potentially problematic trees in your yard; there is no better time to do that than when a big storm is approaching. We will get our emergency crew their quickly to eliminate any problem trees before the approaching storm strikes. Being proactive like this can save you thousands of dollars by not having these problem trees come down easily during the storm and do substantial damage to your property. Our crew will get there fast when you need us and we have the capacity to add extra manpower after events as Hurricanes. We don’t feel that showing up a week after a big storm is true emergency service. Our Deltona emergency tree service prices do not change after big storms either, unlike some of our competitors who raise prices to take advantage of the situation. So call Deltona Tree Arbors immediately if you need 24/7 Deltona emergency tree service in at 386-222-1957 and we will make every effort to get to your location as quickly as possible to help resolve your problem.